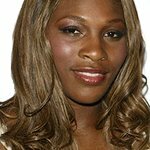 Serena Williams understands the unique platform she has to lend a voice, donate funds and raise awareness to make other people’s lives better. The unfortunate truth is there is no shortage of issues people face. Whether talking about women’s bodies, community violence, race relations, or inequity, The Serena Williams Fund believes we must be better to one another, treat one another with dignity and respect and with basic humanity. To that end, The Serena Williams Fund partners with organizations and leaders doing great work to positively impact communities and the lives of other human beings both nation-ally and globally. Recently, The Serena Williams Fund has partnered with and made grants to a few notable organizations to help impact the lives of others at home and around the globe. Working with Build Africa Schools, Serena was able to build two schools in Kenya. As a UNICEF Global Ambassador, Serena has volunteered to help immunize children in Ghana and participated in the Largest Lesson, a curriculum which will be seen my millions including students and teachers. Back home, The Serena Williams Fund partnered with Beyond the Boroughs Scholarship Fund to establish The Serena Williams Scholars, and just helped send 10 deserving students with unmet financial need to college. In addition, The Serena Williams Fund acknowledged The Caliber Foundation, by making a $10,000 donation to their efforts to rid the streets of illegal guns. Most recently, Serena recently partnered with the online charity platform Omaze to launch an once-in-a-lifetime raffle experience tied to the announcement of her return to the Indian Wells Tournament with proceeds benefitting the Equal Justice Initiative, a nonprofit organization led by the brilliant Bryan Stevenson that provides legal representation to poverty-stricken defendants and prisoners who have been denied fair and just treatment in the legal system. Google trends for "Serena Williams Fund"
We don't have any videos related to Serena Williams Fund.